The legendary Todd Rundgren was a welcome addition to the planned festivities, especially since the Big Band’s new project features Palermo’s take on the music of Frank Zappa and the aforementioned Rundgren. 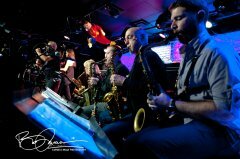 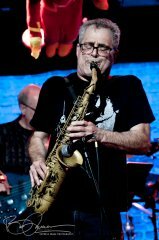 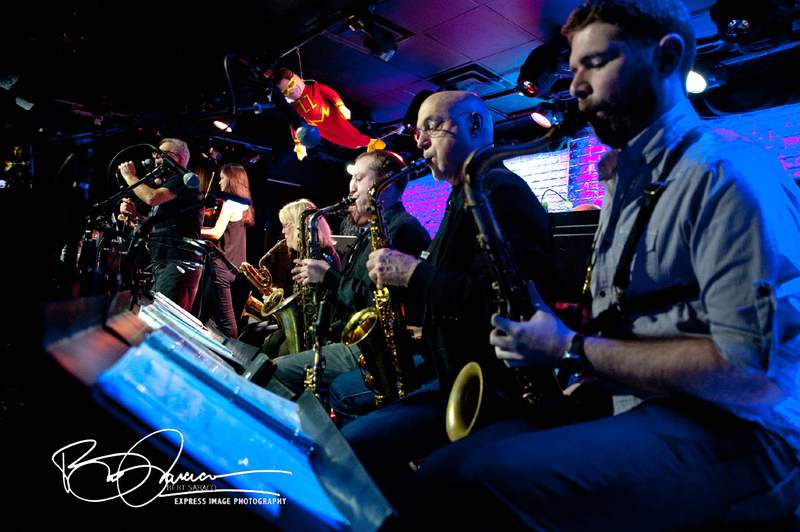 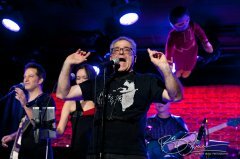 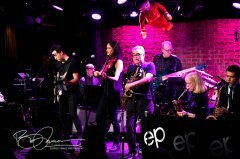 For about two and a-half hours on Monday night, The Ed Palermo Big Band performed at a CD release party concert that, for once, actually did feel like a party. 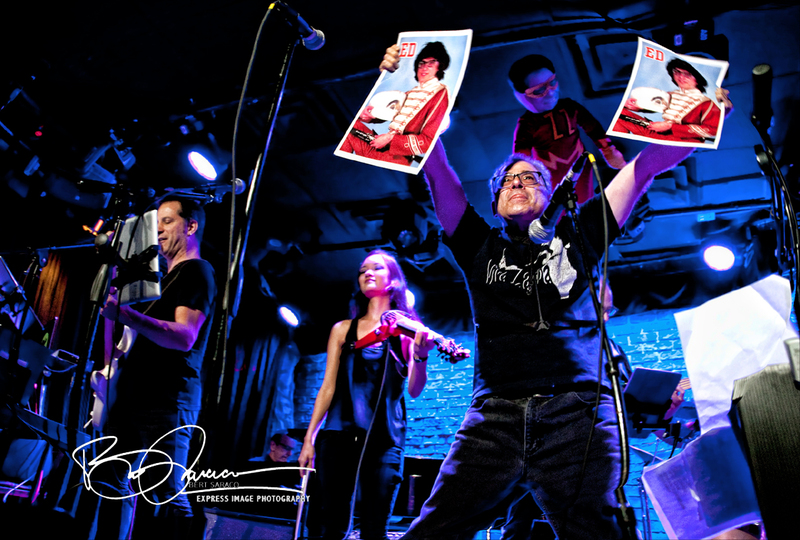 The show was infused with energy and the band was exceptionally tight - even with the curve ball of a ‘sort-of’ unexpected guest upsetting the planned set-list. 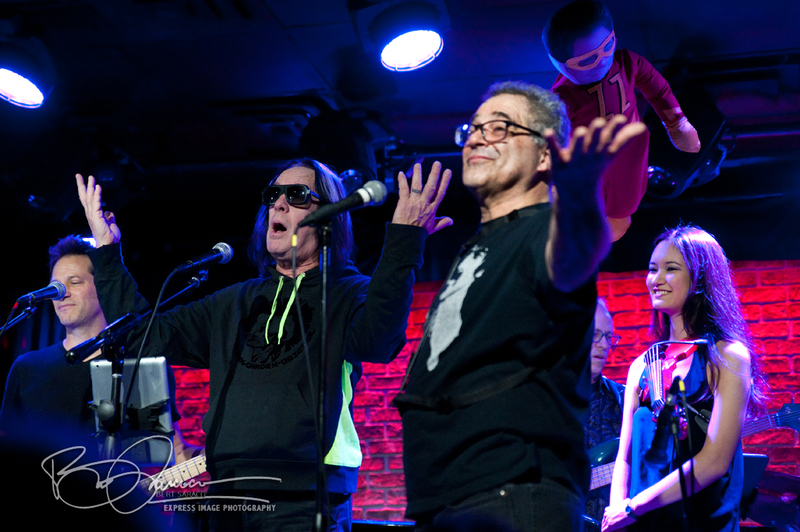 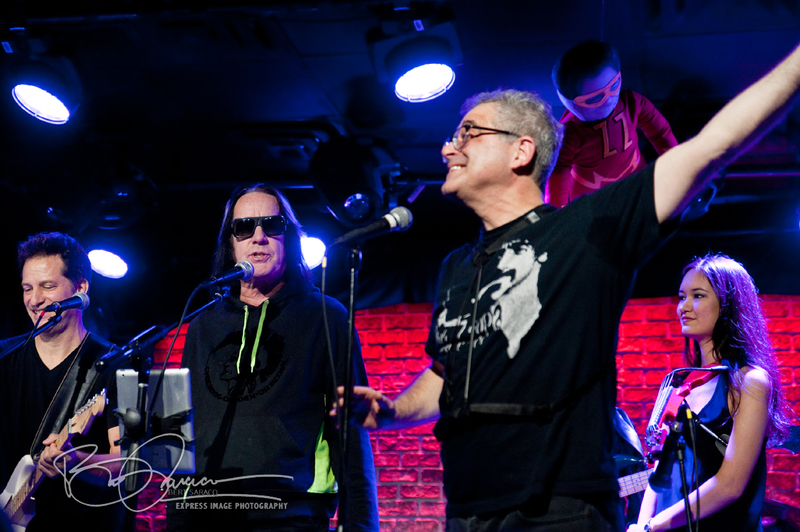 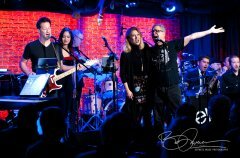 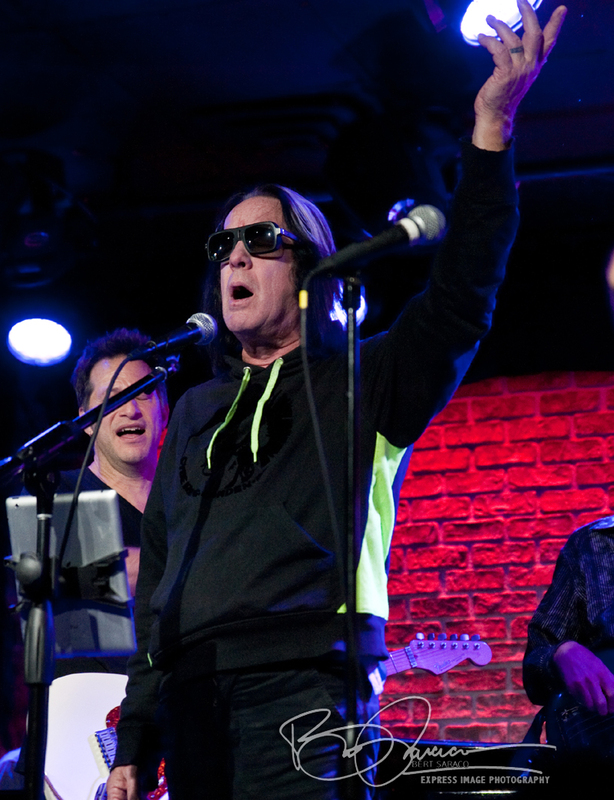 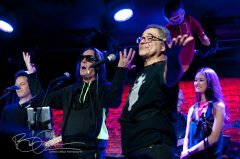 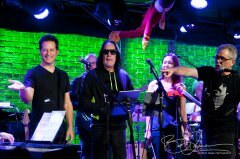 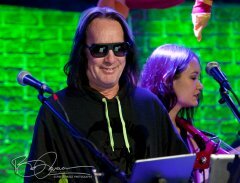 Still, the surprise appearance of the legendary Todd Rundgren was a welcome addition to the planned festivities, especially since the Big Band’s new project features Palermo’s take on the music of Frank Zappa and the aforementioned Rundgren. 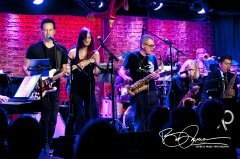 Tackling everything from near-punk (Rundgren’s “Yer Fast”) to ‘serious’ jazz (Coltrain’s “Grand Central,” Zappa’s “Big Swifty”), to classic rock (Steely Dan’s “Pretzel Logic,” The Beatles’ “I Am the Walrus”) ...gee, we even heard “Tea For Two,” “Que Sera Sera,” and a bit of Gilbert and Sullivan! 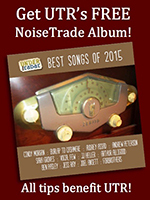 This cornucopia of music was served up with proper amounts of humor, affection, and - of course - tremendous chops! 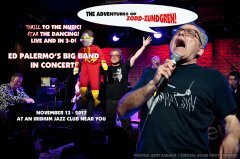 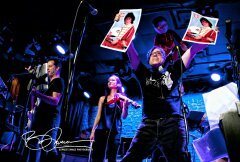 In, under, and through all of this was an ample serving of music from The Adventures of Zodd Zundgren, the band’s new album featuring the music of Frank Zappa and Todd Rundgren. As it turns out, Rundgren/Zappa is an inspired combination. 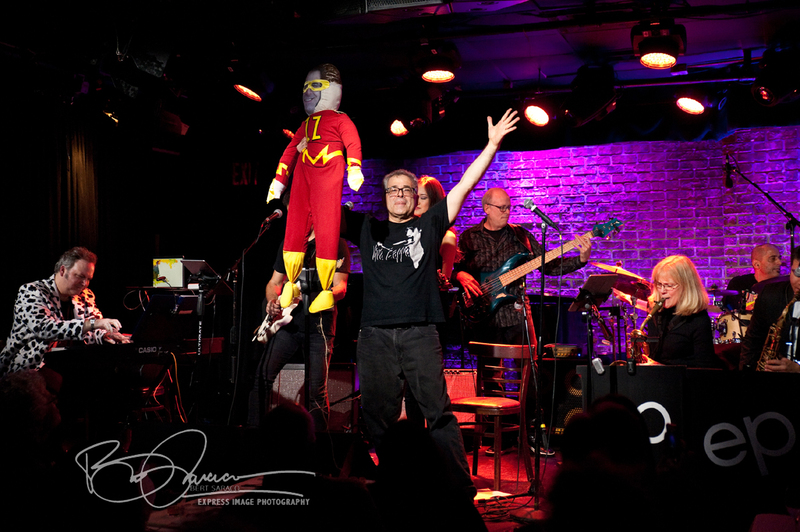 Each of the composers create memorable, strong melodies and approach their music with a keen ear for absurdity, reminding us that humor, as Mr. Zappa concluded, does indeed belong in music. 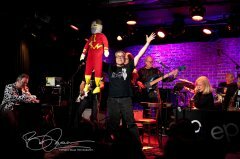 Certainly, the romantic “Hello It’s Me,” which was bravely (and wonderfully) sung in front of Rundgren by Bruce McDaniel, would lyrically be out of place in a Zappa song - but the soulful and beautifully crafted melody and the sophisticated chord structure is the perfect Yin to Zappa’s manic Yang. 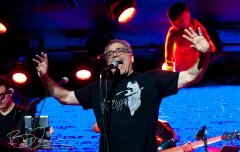 Palermo manages to pluck the core essence out of each artist’s songs creating an accessible musical experience that no doubt draws in many an unsuspecting newcomer. 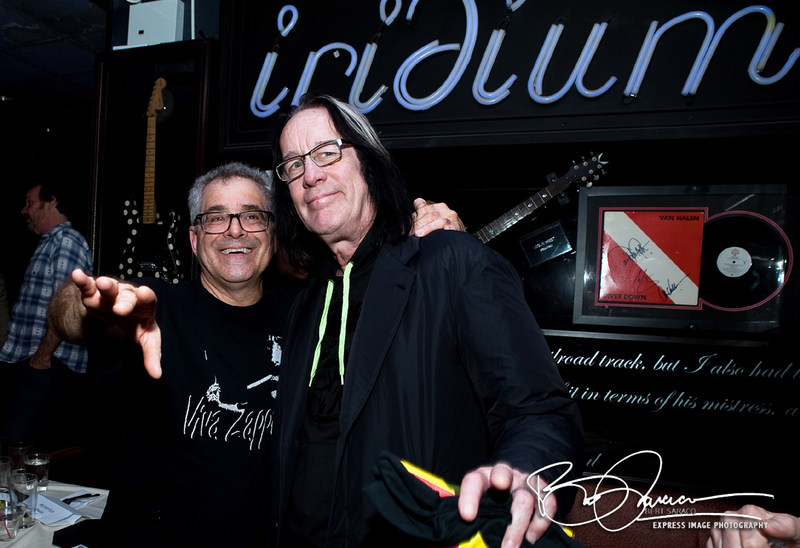 Nesting Rundgren’s “Influenza” between Zappa’s “Peaches en Regalia” and “Willie the Pimp” was an inspired mash-up executed with sweeping ensemble passages and sparkling solos - a perfect example of Palermo’s inspired musical pairing. 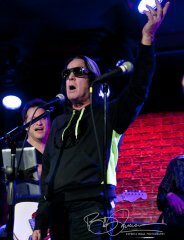 “I’ve been hearing rumors....” Ed teased, obviously excited. About half-way through the show the rumors of Todd actually being at the club were confirmed, as the band leader called him up to the stage in hopes of coaxing a song or two out of the legend. 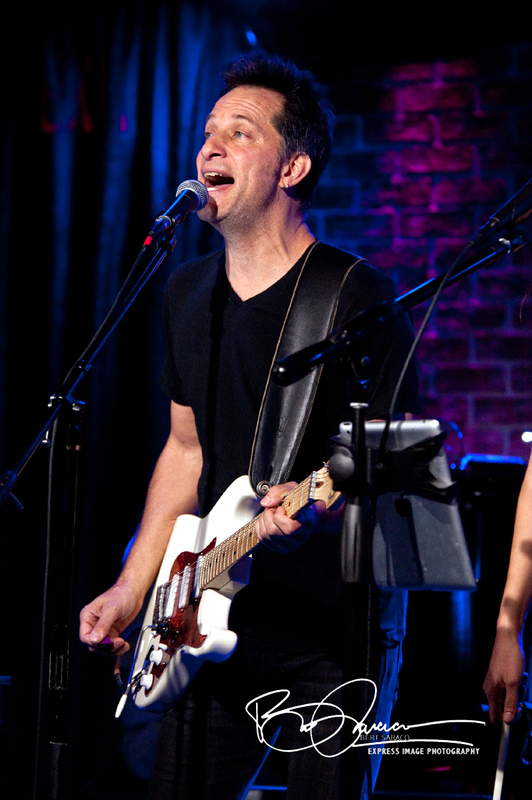 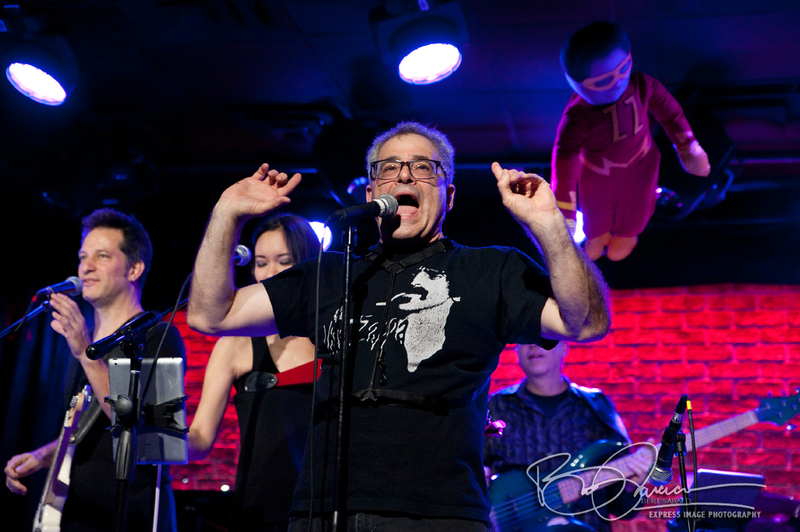 In keeping with the celebratory atmosphere of the night, Todd provided vocals for two of his more theatrical songs. 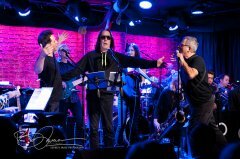 “Emperor of the Highway,” with all of its bogus pomp, was sung as a duet with Bruce McDaniel, while Todd took a lead vocal spot on “Song of the Viking.” Todd, who was in town on a break from the current Ringo tour, was seated with touring All Starr band drummer Gregg Bissonette, and both men seemed completely immersed in the music and fun atmosphere. 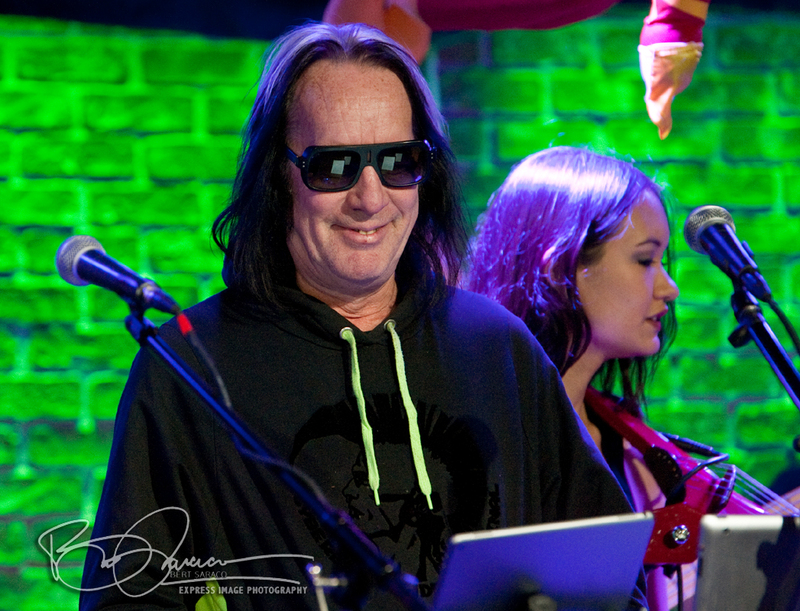 Rundgren was funny onstage and off and seemed to be generally having a great time at the show. Todd wasn’t the only surprise of the night. 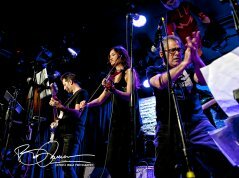 As mentioned earlier, “Echidna’s Arf (of You)” was accompanied by tap dancer Nicki Denner, who took the stage after a failed ‘attempt’ by the dance-challenged bandleader, and “Village of the Sun” and “Que Sera Sera” were sung with style a dose of panache by Nina Hennessey. 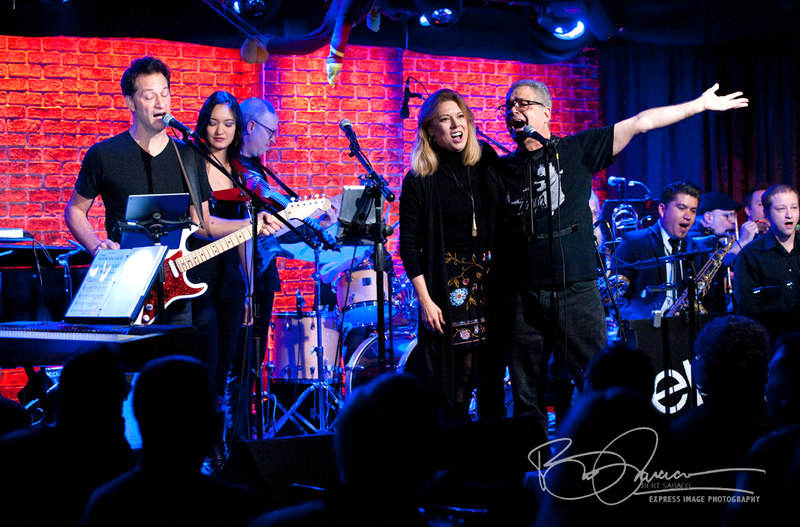 The bottom line of this night was, of course, the music - and Ed and his band delivered. 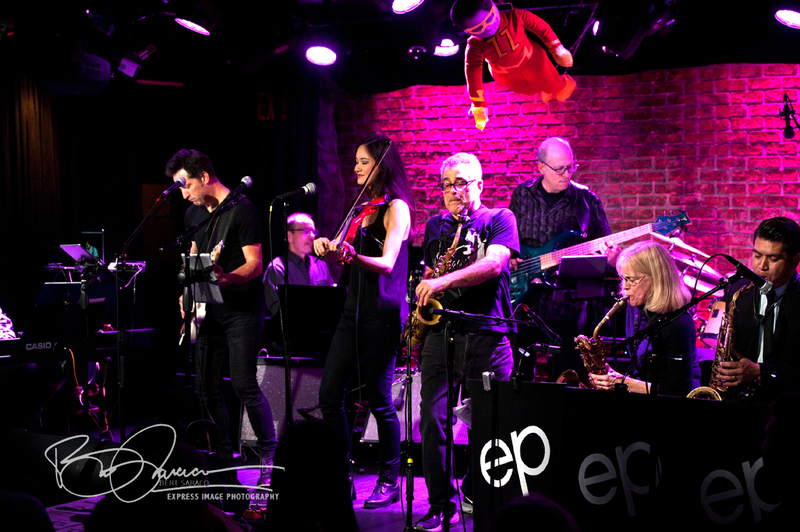 The various solos were met with great enthusiasm and appreciative applause, the ensemble playing was spot-on, and Ed’s antics were... well, it was a fun night! 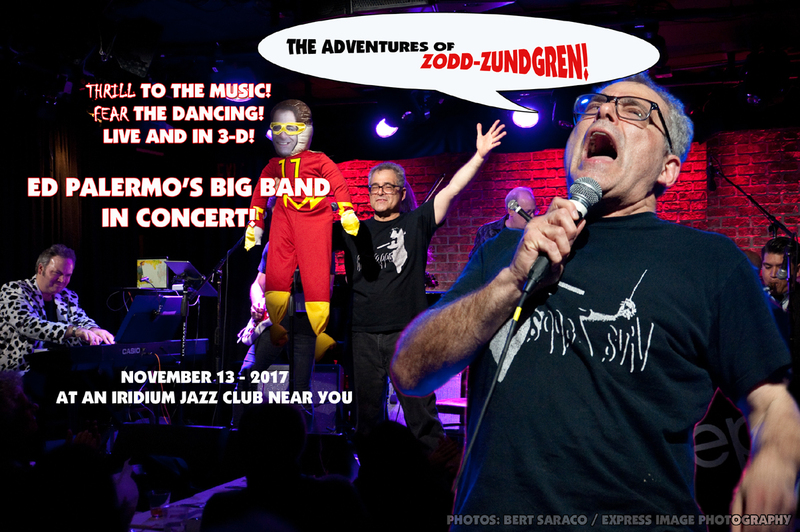 Right from the start, what looked like a Palermo Piñata hung above the stage - this, apparently was Zodd Zundgren, who bore an uncanny resemblance to the bandleader. 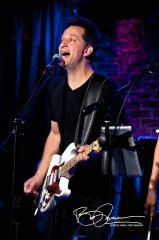 Bruce McDaniel continues to be a strong right-hand-man to Ed, playing tasty guitar work and handling lead vocals with a giant dose of cool. 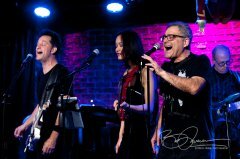 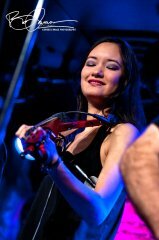 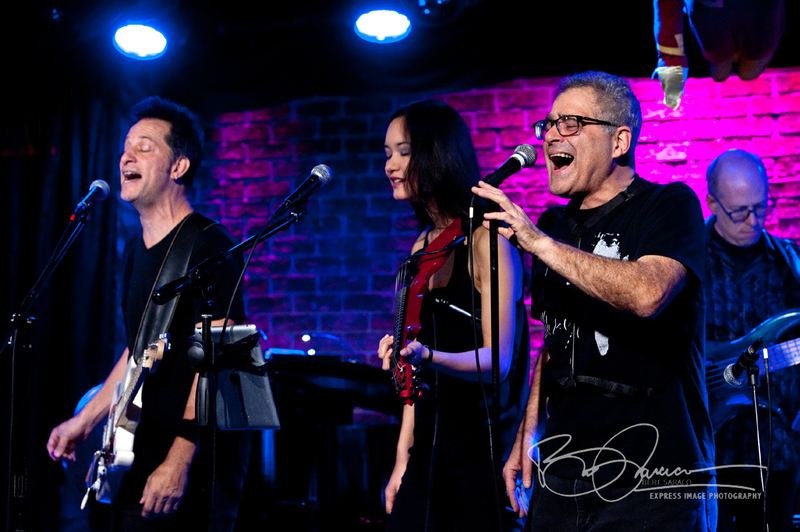 Ed and violinist Katie Jacoby (who, as usual, blew the audience away with her jazz-fusion inspired soloing) also joined in on vocals, creating impressive harmonies.